At Beauty Courses Online you don’t have to wait until you’ve completed our full course to start making money. In fact, you could start the course and be making money in as little as a week. Then you could continue learning how to provide popular beauty services while you make a living! 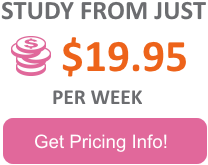 Here’s how it works – my full course covers six subjects, I’ll teach you one subject at a time so that you can earn money while you learn the remaining subjects and complete the course. The six subjects taught in the full course cover 95% of the beauty services offered at profitable salons today. In other words, by learning these subjects you won’t just be able to start making money immediately, you’ll also have the solid foundation you need to build your very own profitable beauty salon. As an experienced beauty salon owner as well as instructor, I know what’s important for you to learn and what’s a waste of time. I also know how to explain even complex techniques in simple, easy to understand ways so that you’ll pick them up quickly. When you sign up for my full course, you’re going to learn, you’re going to have fun and since this course is online via streaming video you’ll be able to study whenever and wherever you want! This course is designed to fit your busy schedule. You can study full-time, part-time, any time. All you have to do is sign up today to receive instant access to the course materials. 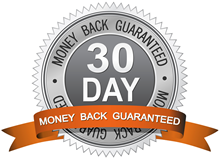 Plus, thanks to my 30-day money-back guarantee you have nothing to lose by signing up for the course now! Should you decide that the course is not for you, all you have to do is notify me within 30 days of signing up and I will refund your full purchase price. It’s time to start your new beauty career and get on the fast track to success. Remember, when you sign up for our full course you will not be on your own. I will be with you every step of the way offering advice and suggestions that I’ve developed over a 32-year career in the beauty industry. To get started, just choose an option below. Waxing is an in-demand service that will help you start making money in the beauty industry quickly and easily. Here you’ll learn all the important techniques and information you need to know to succeed at waxing. Covers waxing from the eyebrows to the toes – including performing a Brazilian Wax. In this course you’ll learn how to master today’s three most in-demand nail systems – acrylic, gel and glazed. In fact, one of these systems is in such demand today, and you can make so much money doing it, that you may want to delay learning the other two until demand slows down (if it ever does). You’ll learn how to perform facials that make your clients look younger and better as well as how to take your facial treatments to the next level by providing skin analysis, peels, masks, steam treatments and more. This subject will give you the skills to climb right to the top of your local beauty market. Your earning power and your employ-ability will soar. Not only are manicure pedicures in high demand today but thanks to the easy-to-follow, step-by-step teaching method I employ here you could be an expert at doing them in just five days! Imagine making money doing manicure pedicures in less than a week … well, it’s possible thanks to the instruction you’ll receive right here. Help your clients and send your profits skyrocketing! Thanks to today’s stress-filled world, relaxation massages are in great demand. Here you’ll learn how to develop your own highly effective massage routine. Relaxation massage is great as a standalone service or as another money-making option in a full-service salon. As more people become more active, this service is rapidly gaining in popularity. Here you’ll learn lash perming, lash tinting as well as brow bleaching and brow tinting. Because this service is relatively fast and easy to perform you could really boost your profits by offering it. Also, offering this service could give you a competitive advantage over competitors who don’t offer it. *** This does not include the Elective Course Subjects like Eyelash Extensions. With all 6 core beauty subjects heavily discounted in this full course offer, we know this is the best value, most indepth beauty course available online or by correspondence, anywhere in the world. This course is comprised of four modules of which you can see in greater detail below.